Benefit from improved safety, performance, and product deliveries to your customers. 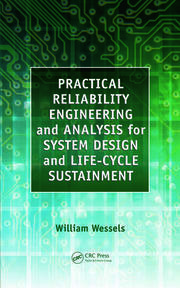 Achieve a higher rate of equipment availability, performance, product quality, and reliability. 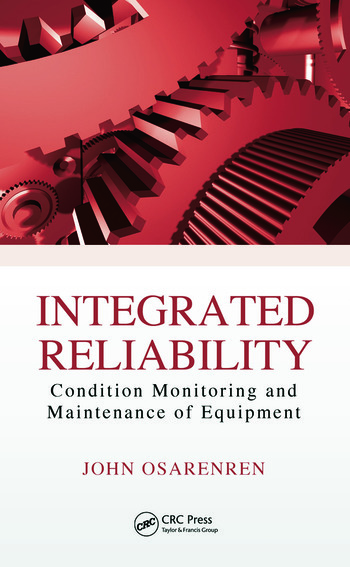 Integrated Reliability: Condition Monitoring and Maintenance of Equipment incorporates reliable engineering and mathematical modeling to help you move toward sustainable development in reliability condition monitoring and maintenance. 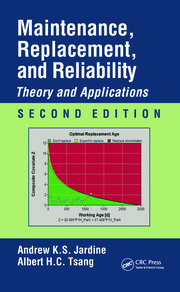 This text introduces a cost-effective integrated reliability growth monitor, integrated reliability degradation monitor, technological inheritance coefficient sensors, and a maintenance tool that supplies real-time information for predicting and preventing potential failures of manufacturing processes and equipment. 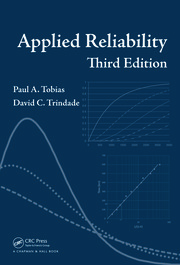 The author highlights five key elements that are essential to any improvement program: improving overall equipment and part effectiveness, quality, and reliability; improving process performance with maintenance efficiency and effectiveness; training all employees involved; including operators in the daily maintenance and upkeep of the equipment; and implementing early equipment management and maintenance prevention design. He offers a sustainable solution with integrated reliability condition monitoring and maintenance of manufacturing processes, parts, and equipment in the IOFs with a technological inheritance model-based program. Integrated Reliability: Condition Monitoring and Maintenance of Equipment addresses potential failures from an asset manager, maintenance user, and operator’s standpoint, and highlights the solutions to common failures and reliability problems for equipment in the IOFs. John Osarenren, received his PHd in agricultural engineering in 1989 from the Byelorussian University of Agricultural Mechanization, in Minsk, USSR, and his M.SC. (Agricultural Engineering) in 1986. He is currently a member of the Integrated Agricultural and Industrial Consultancy, New York, USA. He is a member of the American society Of Agricultural Engineers, Michigan, USA, and the Society of Reliability Maintenance Professionals, Georgia, USA.